Germany may have often led the way in Europe on environmental issues, but Germans still love their cars. A sophisticated and intense campaign by the German motor industry recently scuppered new EU rules on tight emissions for motor vehicles. In the scrap it is widely seen as the European Commission’s Enterprise and Industry Commissioner Günter Verheugen won over the Environment Commissioner, Stavros Dimas. But now Dimas is getting his own back, by proposing the unthinkable. In the land where unrestricted driving is regarded as a birthright, he is calling for a speed limit on motorways. It has not gone down well. Even the German Environment Minister is against the idea. 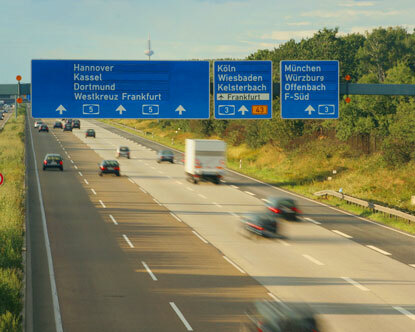 Sigmar Gabriel, said that speed limits would have a negligible impact on the environment. “We’d simply be wrecking the climate at 130km/h (80mph) instead,” he told reporters.